Based in Dallas and with more than 300 locations across the U.S., Mexico, El Salvador and Uruguay, Red Mango is a rapidly-expanding retailer of all-natural frozen yogurt, and healthier eating options. Red Mango® Yogurt Café Smoothie & Juice Bar is an established leader among frozen yogurt and healthy eating franchises. At Red Mango, we truly enjoy helping our franchisees build strong, successful businesses and make a positive impact in their local communities. Our franchisees serve up frozen yogurt that's low-fat or non-fat, and packed with probiotics which helps support the immune and digestive systems when consumed as part of a balanced diet and healthy lifestyle- not to mention that it's gluten-free and kosher certified. 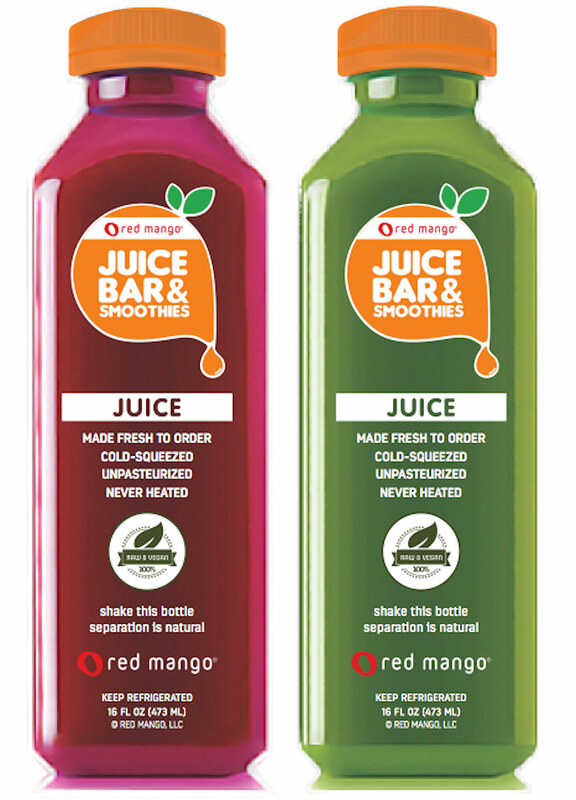 In addition, Red Mango is rapidly growing our menu of fresh fruit and vegetable smoothies, made-to-order smoothie bowls, fresh cold-squeezed juices available individually or in RAW6™, our one-day juice plan, as well as salads, wraps, and other light and healthy foods to generate increased sales on a year round basis. 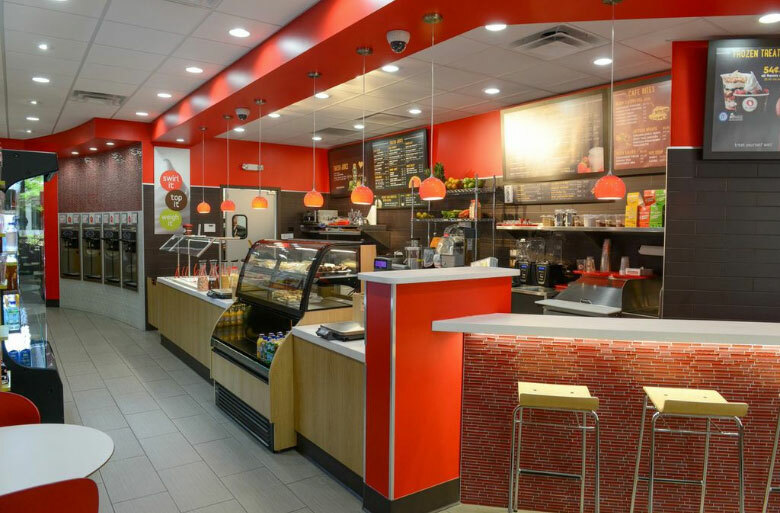 Red Mango is more than just frozen yogurt, it's a healthy café. 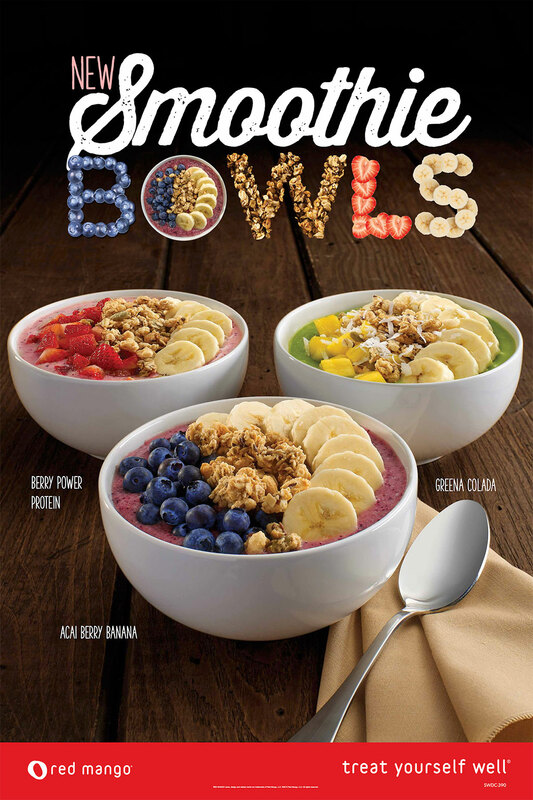 In addition to frozen yogurt, you'll also serve up smoothies, parfaits, smoothie bowls, dairy-free skinny sorbettos, cold, fresh-squeezed citrus and green juices, and other grab n' go items. RAW6™, our one day juice plan, helps guests maximize offerings at Red Mango and their nutrient intake in a one-day plan filled with delicious and healthy juices, a nut milk, a flavored water, a balanced snack and a well-rounded meal. Bright, modern stores that attract customers. Cobranding opportunities with Nestle® Toll House Café® by Chip® or Smoothie Factory®. A robust national distribution network for worry-free delivery of quality products to your store(s). Training and opening support from an outstanding franchisee support team. We provide training and support for your frozen yogurt franchise, including marketing assistance. Ongoing development of new and exciting products to keep customers coming back for more. At Red Mango, we know that our success depends on the success of our franchisees. That's why we make it one of our top priorities to provide outstanding support and training to all of our franchisees. When you open a Red Mango Yogurt Café Smoothie & Juice Bar you will receive the full support of a highly experienced team that assists locations all over the United States (and even some parts of Central and South America). When it comes to running a nationally recognized franchise, we've seen it all - and as a franchisee, you'll be able to leverage our experience and knowledge to help build your business into something you and your community can be proud of. Once you're approved, our team will spring into action, putting the full force of their real-estate and site selection expertise into your project. We'll also help you locate respected local and national contractors with the goal of making sure the job gets done - quickly and professionally. At Red Mango, we understand that good training is essential to a strong opening and your long-term success. That's why we offer extensive training for both franchisees and crew members. By opening day, you and your team will be confident and ready to make your customers happy! There's plenty to worry about when you run a business, and at Red Mango, it is our mission to do everything in our power to cut that list down to size. After you open, we continue to provide outstanding marketing and product launch support. Love Red Mango? Get started on the path to opening your own store. Just fill out the form, and a representative from our franchising team will be in touch shortly. This information is not intended as an offer to sell, or the solicitation of an offer to buy, a franchise. It is for informational purposes only. If you are a resident of a U.S. state or a country, or wish to operate a franchise in a U.S. state or a country, that regulates the offer or sale of franchises or business opportunities, we will not offer you a franchise until we have complied with any applicable pre-sale registration and disclosure requirements in your jurisdiction. Red Mango FC, LLC is the franchisor and is currently headquartered at 2811 McKinney Avenue, Suite 354, Dallas, Texas 75204.Prospective New York Franchisees: This advertisement is not an offering. An offering can only be made by a prospectus filed first with the Department of Law of the State of New York. Such filing does not constitute approval by the Department of Law. Florida Advertising Identification Number: BF47541 . Looking for more information about Red Mango? Take a moment to fill out our quick information request form.